Full Steam Ahead for "Full Steam Behind"
Bob: Well, who’d have thought it? 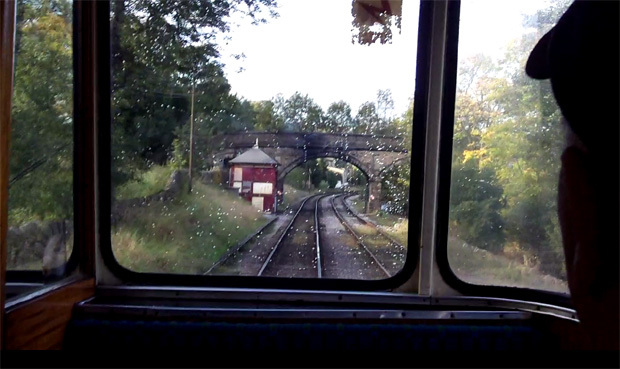 Our first Summer Winos expedition, and it all started because we spotted that, in one scene of Series 5 Episode 1, Full Steam Behind, the number of the steam train boarded by Compo, Clegg and Foggy was clearly visible on camera… KWVR L89. Literally ten seconds of exhaustive research later, we discovered that said engine was still on display at Oxenhope station on the Keighley Worth Valley Railway line – a heritage branch line in West Yorkshire dedicated to re-creating the golden age of steam. 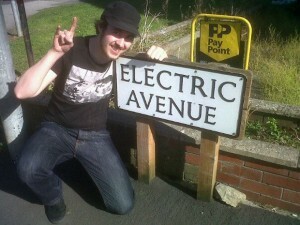 We had to go in search of it, surely? Andrew: I didn’t need much convincing to join Bob on this jaunt. Even without the Summer Wine connection, I love steam railways. I think that, somewhere down the line, this is in my blood. My Grandad hauled coal up from the ground for just this kind of use. I’m sure he was bloody sick of the sight and smell of coal and steam after working his entire life down the pit, but the sensation of being enveloped in the cloud created by a working steam engine does something to me. It turns me back into a little five-year-old with his Thomas the Tank Engine flag and plastic whistle…. oh, hang on, that was only a few months ago. Bob: I can’t claim any kind of industrial ancestry (I come from a long, proud line of shirkers) but absolutely – there’s something about steam railways that’s just inherently romantic. A beautiful way to travel from a far more leisurely age. Andrew: Well, the day didn’t get off to the best of starts after I managed to jump on the wrong train to meet Bob, delaying my arrival by half an hour and several miles. Fortunately, my co-conspirator drives and was able to rescue me from the clutches of Billingham railway station. Then the journey could really begin. Andrew: Finally, we reached Keighley and, after searching for a parking space, bought our ticket for a return trip to Oxenhope. Keighley Station itself is a beautiful place where past meets present; one can either hop onto the heritage line or take a thirty second wander to the mainline station. I was even impressed by the retro toilets at the two stations we visited. I don’t think I’ve ever had a sanctioned piddle in an uncovered space before. Bob: I’ve rarely seen a man emerge from a public urinal looking so pleased with himself. But I can confirm that both KWVR stations were home to a selection of beautiful vintage thunderboxes. 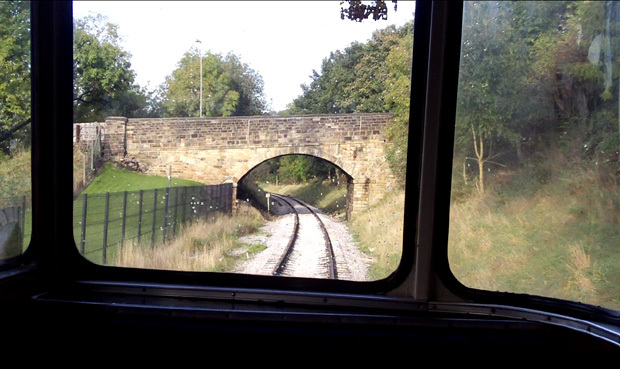 We’d barely washed our hands when our train puffed into Keighley Station amidst a gorgeous, wafting cloud of steam, and we piled excitedly into the nearest carriage. A gentle, thirty-minute ride to Oxenhope awaited us, in beautiful autumnal weather. Russet-coloured leaves and syrupy, golden sunshine abounded as we chuffed slowly through the restored splendour of Ingrow West, Damems, Haworth and Oakworth. I can’t remember the last time I felt so relaxed! It seemed like we’d actually entered into an episode of Last of the Summer Wine ourselves. Andrew: And there was a pub on the train. A PUB ON THE TRAIN! Bob: Quiet, little scruffy person. And get your wellies off the windowpane. Andrew: Once we reached Oxenhope, we expected to go on a quest to locate our screen-used engine. Knowing that it was no longer in running order, we thought that we might perhaps find it covered in moss or inside a boarded up cave round the back. Amazingly, however, we found it within two seconds of walking into the engine shed. There she was in all her glory, and although she had been given a new coat of paint and a brand spanking new number, she was still recognisably the vehicle used all the way back in 1979. Bob: Absolutely! Built in 1929, so it’s rather staggering to realise that she was already fifty years old when she appeared in Full Steam Behind. She’s still in beautiful condition. Andrew: The one thing I wasn’t expecting was to feel a bit emotional when getting up close and personal with the engine. I know I’ve gone on record as saying that Full Steam Behind leaves me a little underwhelmed, but there was just something about the unchanged nature of the cab, some thirty-odd years after it was used in the series. Brian Wilde and Bill Owen are no longer with us and Last of the Summer Wine has retired from our screens, but this small cabin, where our heroes once stood, lives on. Preserved through the ages, all thanks to the dedication of a legion of volunteers. I desperately wanted to climb inside, but there was a little laminated sign that put me in my place. Andrew: On returning to the car, we then thought we’d try to locate the bridge from which Compo is unceremoniously dangled in this episode. Unfortunately, we kept losing the railway line while trying to navigate by the A-Z. Some say that two heads are better than one. They clearly haven’t ridden in a car with you and me. Bob: I think we ballsed it up. But at least it gives us an excuse to go back and try again! Andrew: Looking at it with hindsight, the bridge with the hut beside it is probably the one we wanted. Damn you, Confusingly Erected Inanimate Red Hut! We managed to miss some key locations, but you know what? I don’t really mind. We got to see the actual engine our trio abducted and we rode the line they completely failed to buy a ticket for. A definitely got a feel for the place, if not a great handle on the locations used. Next time, however, we’re taking a map and some screenshots!